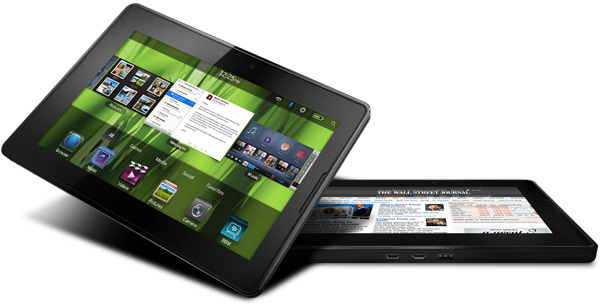 The free BlackBerry PlayBook offer for developers has again been extended through the end of the month. Developers who create and submit apps to BlackBerry App World before March 31st will be eligible for a free BlackBerry PlayBook tablet. To get in on the action, you'll just need to submit an app according to the contest guidelines. Developers who create a qualifying application for the BlackBerry PlayBook tablet prior to its initial North American release are eligible for a free BlackBerry PlayBook tablet. The main criterion to qualify for the free BlackBerry PlayBook tablet offer is to have a qualifying application accepted into BlackBerry App World, subject to certain Terms and Conditions. Note: New BlackBerry App World Vendor Guidelines have removed the requirement for a notarized proof of identity for individuals. To allow individuals time to register and qualify for the free BlackBerry PlayBook offer, the offer has been extended to March 31, 2011. You can submit multiple BlackBerry PlayBook tablet apps into BlackBerry App World, but each BlackBerry App World vendor will only qualify for one free BlackBerry PlayBook tablet. Apps will need to meet the BlackBerry App World Vendor Guidelines." So if you haven't created an app yet you still have a few weeks to give it a shot. If you have already submitted an app, why not do another? Hit the link below for more.